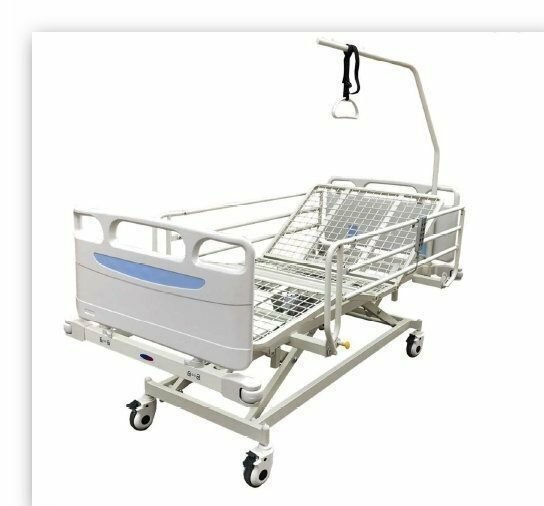 Precision Fitness supplies high quality hospital beds either for rent or for sale , plus medical equipment to all of Southern Africa. 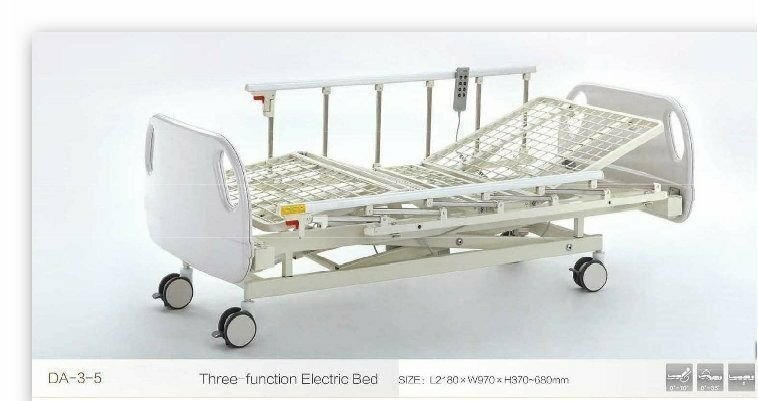 Hospital bed Electric - Home care, Frail care, and Clinics. This bed comes with battery backup, sides and over bed pole. This bed provides an original solution for independent living. 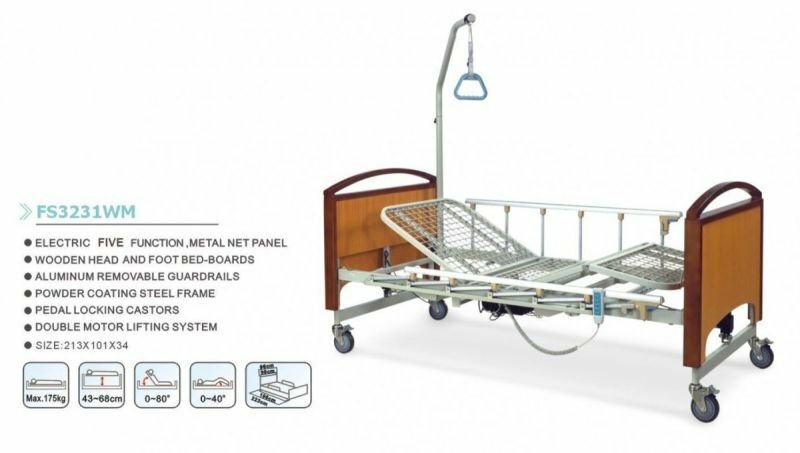 This product range is suitable for usage in residential and convalescent homes. 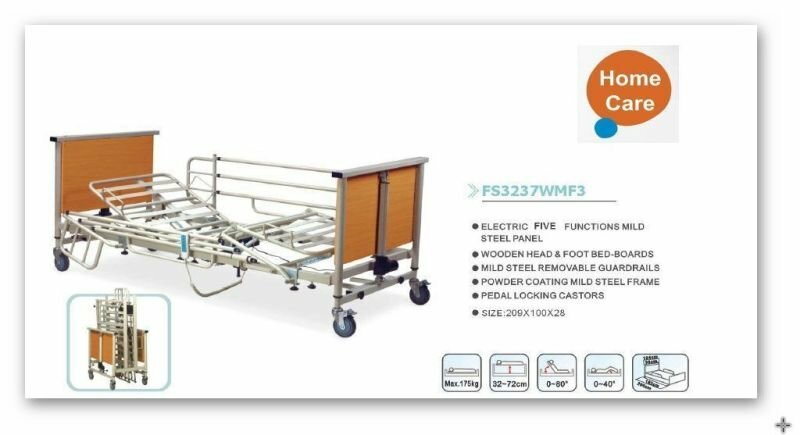 This bed has a 3 function capability and comes with battery backup and folding sides ..
Hospital bed Electric - Home care, Frail care, Clinic and General Wards. This bed comes with battery backup, sides and over bed pole. 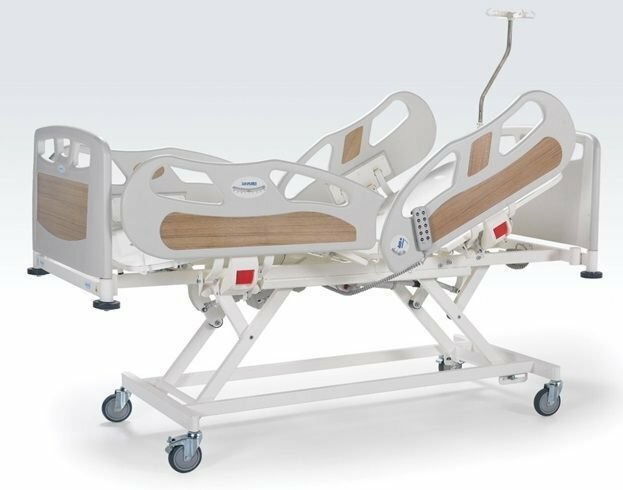 This bed has a 5 function capability and comes with battery backup and emergency CPR function ..
Hospital bed Electric - Imported bed for High Care or ICU facility.. With Folding Polypropylene Side Rails .. 4 Motor Patient Bed.